Maine's biggest and perhaps most vibrant city, Portland was established as a fishing village in 1633 and grew to become New England's largest port. 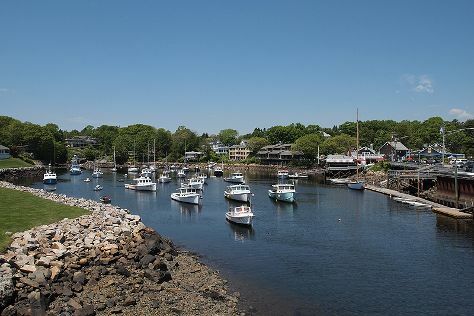 Venture out of the city with trips to Coastal Maine Botanical Gardens (in Boothbay), South End Dog Park (in Bath) and Ogunquit (Marginal Way Walkway, Perkins Cove, & more). There's much more to do: see the interesting displays at Portland Head Light, take your sightseeing to a higher altitude at Mount Battie, sample the tasty concoctions at Allagash Brewery, and explore the world behind art at Farnsworth Art Museum. To see other places to visit, maps, photos, and more tourist information, use the Portland trip planner . September in Portland sees daily highs of 73°F and lows of 52°F at night. Wrap up your sightseeing on the 13th (Fri) to allow time to travel back home.